What is Health Science Technology? Health Science Technology is designed to prepare students for entry-level career opportunities in the field of health care and health-related services. Many of the general education and core courses are required classes for complete of varied professional health programs, providing a seamless transition into a selective admission program. 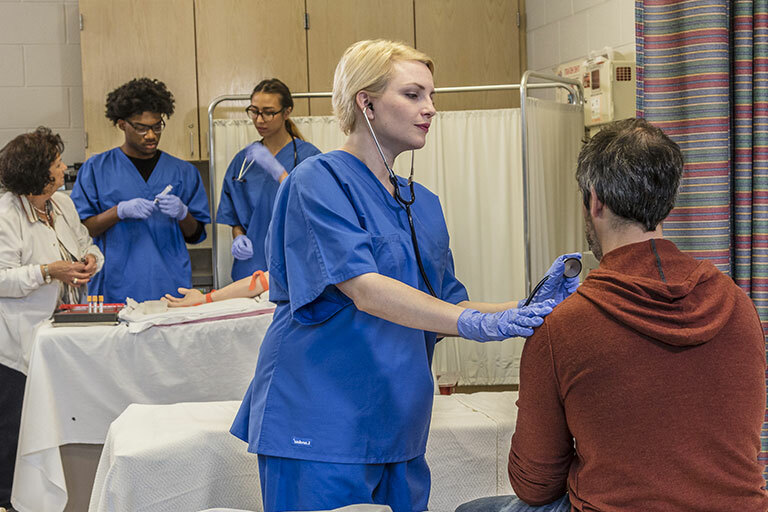 A Health Science Technology degree also allows students to pursue specific certificates that prepare them for careers in areas such as a Nurse Assistant and Phlebotomist, among others. Students awaiting admission to Gateway’s selective admission program for Nursing may be placed in the Health Science Technology degree option. Prior to clinical attendance in courses that have a clinical component, students many be required to documentation of required medical documentation, immunizations, background check and drug screens as a requirement for clinical agencies. Most students may complete an AAS program in two years, provided they enroll in the recommended number of credit hours per semester and the availability of desired certificates within that timeframe. General education courses, with the exception of any course prerequisite, may be taken while attaining the required certificates.